The Hope Fund is a medical emergency fund set aside for the most vulnerable, rescued cats and kittens in dire need of expensive medical care. This fund allows Kitten Rescue to rehabilitate cats and kittens suffering from extensive injuries and give them a new lease on life. Hope was a kitten who had been hit by a car and then given Baby Tylenol by someone who did not realize Tylenol is toxic for cats. Hope was rushed to an emergency pet hospital, where they determined she would need extensive surgery to save her shattered leg, plus intensive care to flush the toxins from her system. Kitten Rescue reached out to our supporters for help and the response was truly overwhelming. Within hours, enough money had been raised to cover Hope’s hospitalization and the anticipated costs of her surgery. Donations kept coming in, including a $5,000 anonymous donation from a very generous sponsor! Sadly, Hope’s injuries proved to be too much for her, and she passed away during surgery. 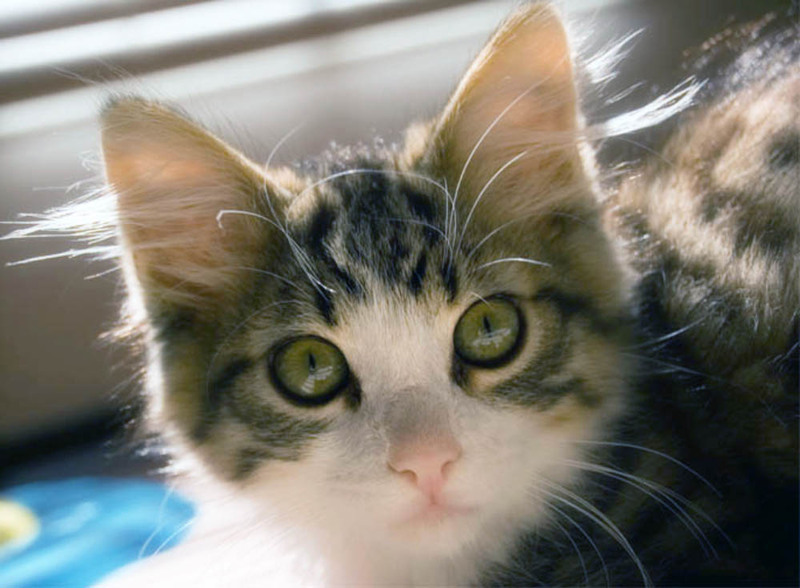 In Hope’s honor, Kitten Rescue used the remainder of the money received to establish the “The Hope Fund” — a fund set aside specifically to help other cats and kittens in such dire medical need in the future. Hope’s little life was not in vain, and because of her, many more lives have been helped. We dedicated this page to little Hope… and to all of the Hope Fund kitties who we never give up on. Please consider donating to the Hope Fund, so together we can pay it forward. DONATE TO THE HOPE FUND! Houdini was found by the side of the road by a client of one of Kitten Rescue’s veterinary partners. He was bleeding from multiple leg and head injuries, having either been hit by or thrown from a car. Houdini was rushed to the vet, where he was hospitalized for a few days. Fortunately, his injuries proved to be superficial and he did not require surgery. He recovered wonderfully in foster care, and was adopted several months later. The Hope Fund was able to cover his hospitalization and care. 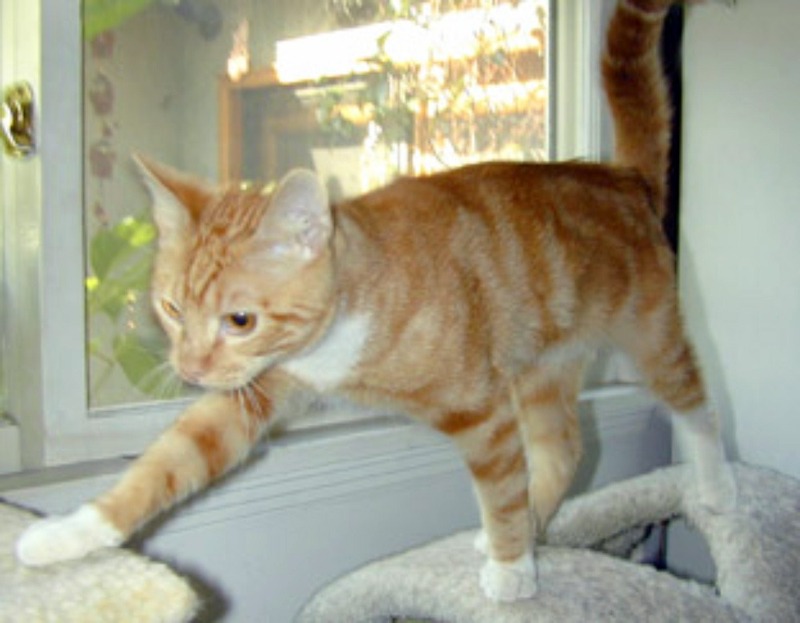 Bennie was a feral kitten living at an apartment complex in South Los Angeles. When he was brought to the vet to be neutered, they discovered that he had a broken hip and a broken pelvis – which explains why it was so easy to pick him up! His injuries were so extensive that he required two separate surgeries to repair the damage and insert multiple pins in his hip and pelvis. Bennie came through the surgery like a champ. After several months of rehab, he was finally walking on his own again. All of this attention turned him into the most affectionate, grateful kitty, and in the spring, he was adopted! Chance was found in at seven weeks old by a young woman who had been working to TNR (trap, neuter and return) ferals in her neighborhood. Chance had a badly broken leg and appeared to have been hit by a car. Neighbors were going to bring the kitten to the shelter, where he undoubtedly would have been euthanized. 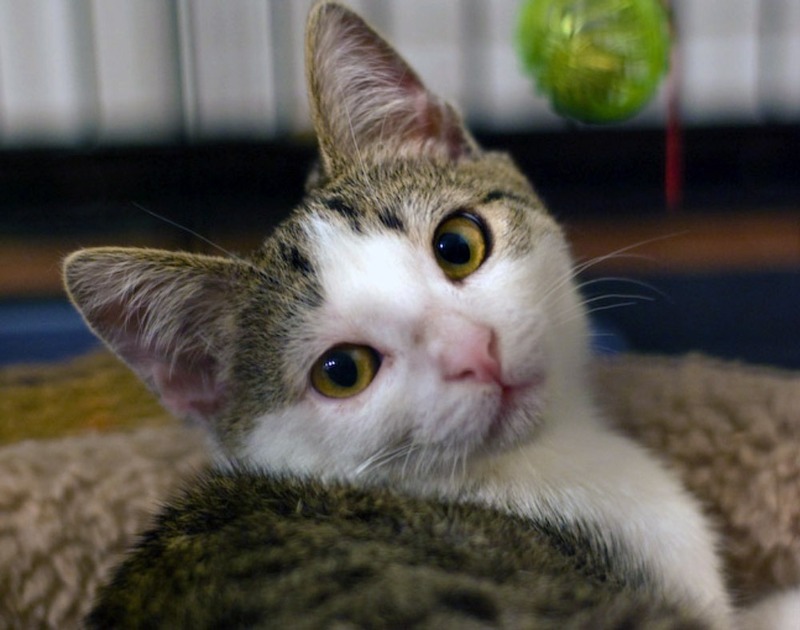 The young woman instead brought Chance to Kitten Rescue… and thank goodness for the Hope Fund. Chance had to have an extensive surgery, with pins inserted in his leg to allow it to heal. And heal it did! Chance was adopted into a forever home once he recovered.